Let customers preview product information and add necessary items to cart right from the quick view window on a category page. Speed up catalog browsing process to provide customers with positive shopping experience. Display 'Quick View' button on a category page. 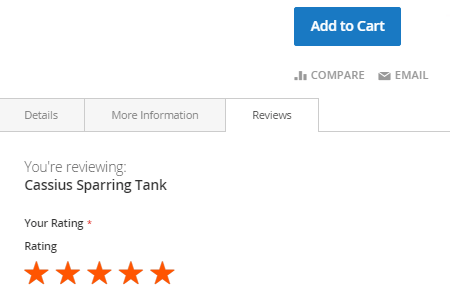 Let customers add products to cart from the preview window. Multiple actions in the 'Quck View' window. Want to improve customer shopping experience and help visitors to make purchase decisions much faster? 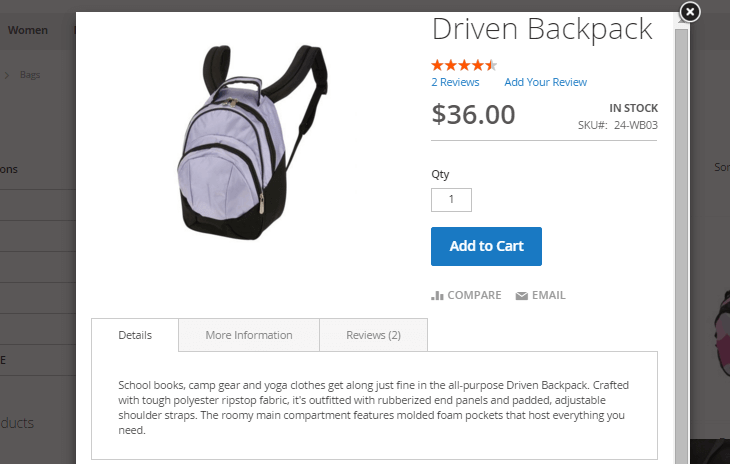 With the Quick View extension for Magento 2 you'll streamline catalog browsing by displaying product details in a handy preview window on the category page. Let customers instantly find necessary product information, add items to cart or to a comparison list right from the quick view pop-up. The Quick View Magento 2 extension is compatible with any Magento theme and runs smoothly on all mobile devices. The module is also highly compatible with any Amasty and 3d party plugins for product pages. Due to the flexible module settings you can also easily customize the 'Quick View' button display according to your needs. With the quick view Magento 2 tool customers don't have to waste time on loading numerous product pages in order to learn more about the items they need. All necessary information is displayed in a handy pop-up window on a category page. The Magento 2 quick view extension enables store visitors not only to preview product info, but to add items to cart and perform other actions like on a real product page. Is it possible to remove specific blocks from the Quick View popup? Thanks to Vitaly from the support, he said how to adjust the module so t works with our complicated theme for Magento 2. Happy new year!